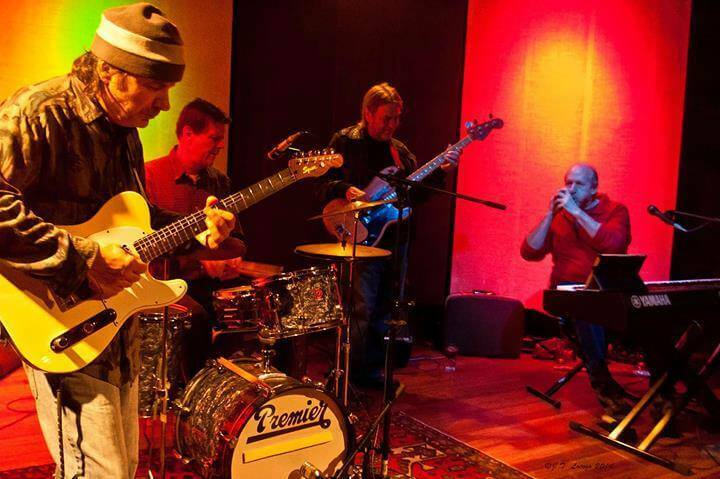 The Blue Cats are three veteran blues-jazz musicians, Rick Collura (electric guitar), Terry Finneran (keys, vocals, blues harp, flute), and Randy Huff (percussion). Their experiences include extended support time with local favorites (Wille Pooch, McGuffey Lane, John Schwab, Jim Lynch, Tony Monaco) as well as on stage experience with a variety of national acts including James Brown, Albert King, Luther Allison, Johnny Winter and Tom Scott. They perform original arrangements of favorites from a variety of blues and jazz (and some rock) artists like Santana, Van Morrison, James Brown, Cannonball Adderly, Taj Mahal, Robben Ford and Steve Winwood, as well as several original pieces.